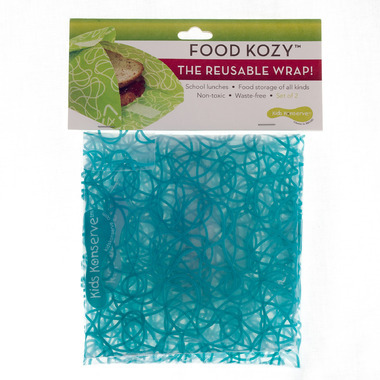 You'll stop using plastic bags after stocking up on these innovative Food Kozies from Kids Konserve! Perfect for wrapping up your sandwiches and as a bonus it doubles as a placemat when you're on the go! To clean: hand wash, air dry, then REUSE! Nice colour. Easy to clean with a swipe of a sponge. Dries quickly. Easy for my 5 year old to use. Love that it's also used as a place mat. I am trying to use these, but find them small for a sandwhich, and not sure other food options for storing.